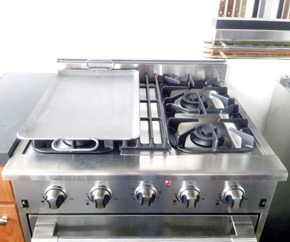 Turn your unused range top burners into a Flat Top Griddle surface on demand. Made in the USA from heavy-duty unbreakable high quality steel, and built to commercial restaurant standards. Our Add-On griddles are also hand polished and pre-seasoned. 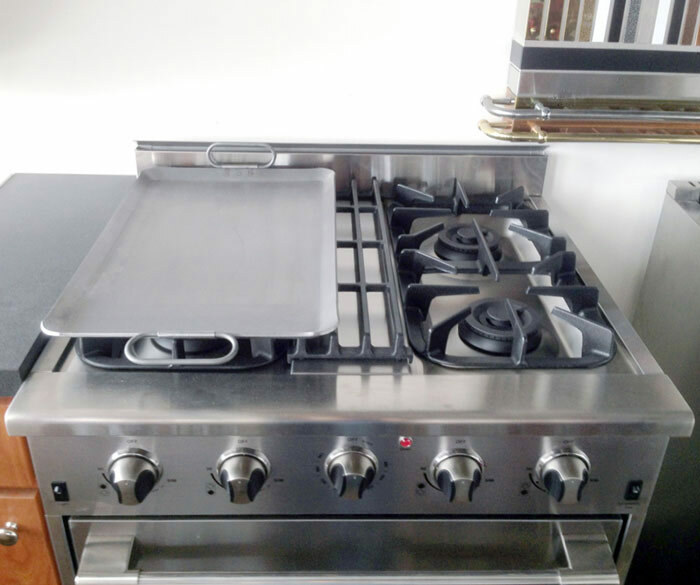 All featured griddles have the same great qualities of even heating, no warpage under 600° Fahrenheit, long service life, and a Lifetime Warranty. 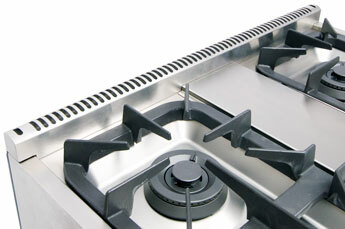 Our most popular Lift-Off Griddle Model. Now with Free Shipping on this Griddle! 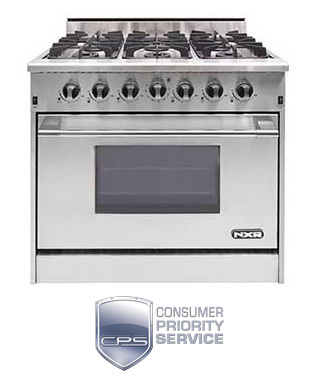 We offer 5 year extended warranties for NXR Professional Appliances. Please see the table below for pricing on available extended warranties for 30", 36", and 48" Ranges from NXR. Note: Extends factory warranty to 5 years (1 year standard factory warranty period is extended an additional four years, for a total of 5 years full coverage). Full parts and labor with On-Site service and Nation-wide network of technicians. Service provided by one of the nation's most prestigious warranty service companies for Professional Residential Appliances. Note: Extended Warranty must be purchased and activated within 9 months of original appliance purchase date. 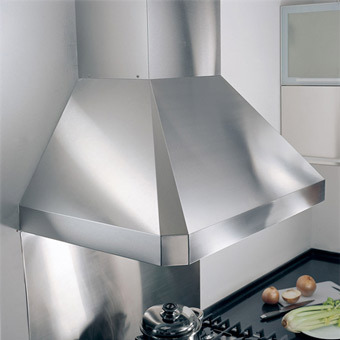 Wall mount european style range hood with telescoping duct line. 30 inch wide canopy size will accomodate 30" model NXR Professional Ranges. Made by Kobe Range Hoods. For Models: DRGB3001, DRGB300-CG, etc. 36 inch wide canopy size will accomodate 30" or 36" model NXR Professional Ranges. Made by Kobe Range Hoods. For Models: DRGB3602 (36" model), DRGB3001 (30" model), etc. 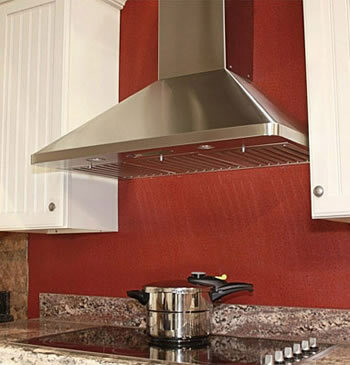 Wall mount professional style range hood with telescoping duct line. 48 inch canopy size will accomodate 48" model NXR Professional Ranges. Made by Kobe Range Hoods. 3 speed with Quiet Mode. Push Button Controls. 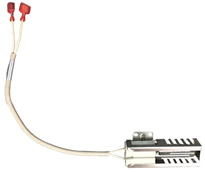 For Models: DRGB4801 (48" sized canopy model required), etc. 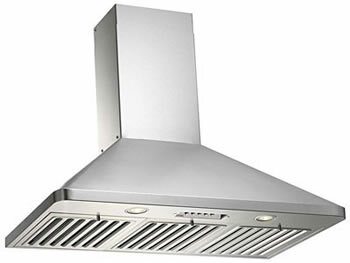 See pricing below on different sizes of this Range Hood. The Center Grate for NXR 30 inch Professional Ranges, cast iron material. Fits 30 inch model center space on cooktop. Note: The Design of this part changed in 2017 for the NXR Elite Series, and the newer version is slightly taller in height. The Island Trim Back Riser option for NXR 30 inch Professional Ranges allows your Range height to be near flush with counter height. Island trim option for NXR 30 inch Professional Ranges. Replaces standard 4 inch high backsplash riser. The Island Trim Back Riser option for NXR 36 inch Professional Ranges allows your Range height to be near flush with counter height. Island trim option for NXR 36 inch Professional Ranges. The Island Trim Back Riser option for NXR 48 inch Professional Ranges allows your Range height to be near flush with counter height. Island trim option for NXR 48 inch Professional Ranges.